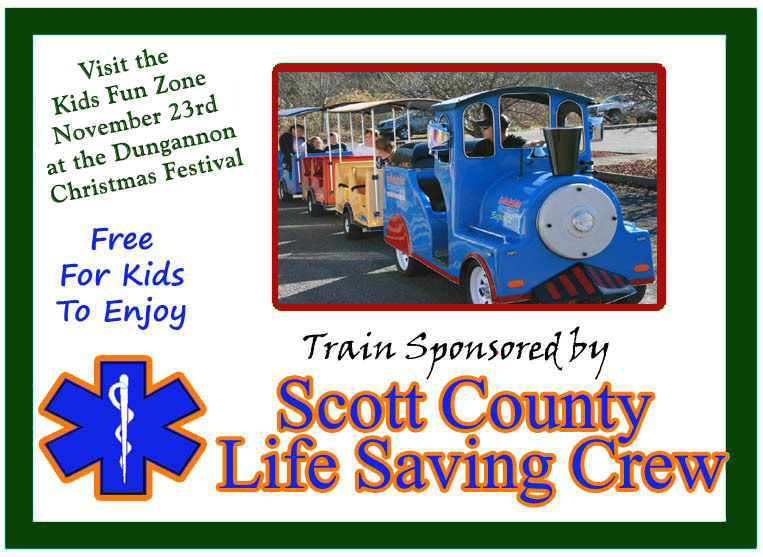 12:13 p.m. and depart at 12:33 p.m.
From 11 a.m. to 4:00 p.m. If you are a food vendor, you are required to file a Temporary Restaurant Permit with the Scott County Health Dept. 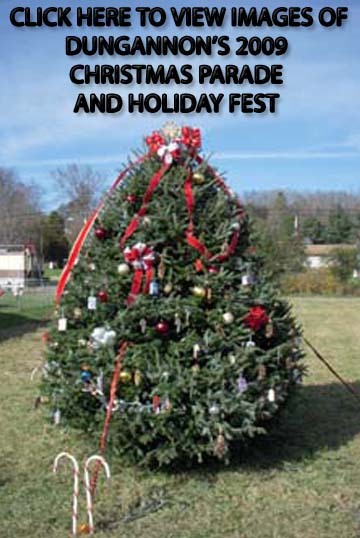 10 days prior to the festival. The form must be mailed to the Health Dept. 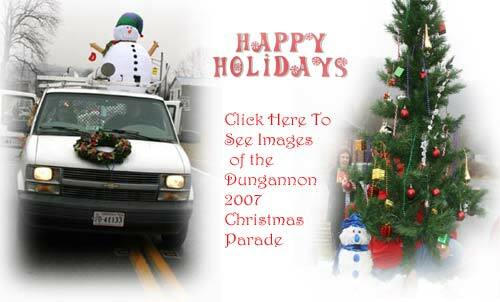 On December 9th 2006 the town of Dungannon held its first Christmas Parade. 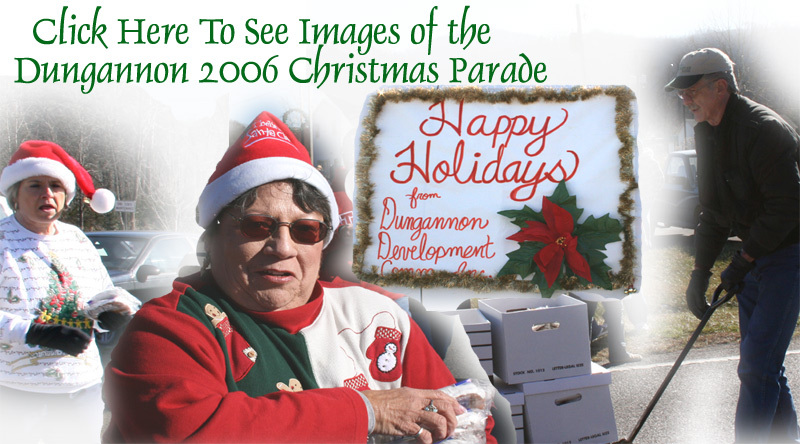 Judy Blevins was the Grand Marshall of the 2006 parade. 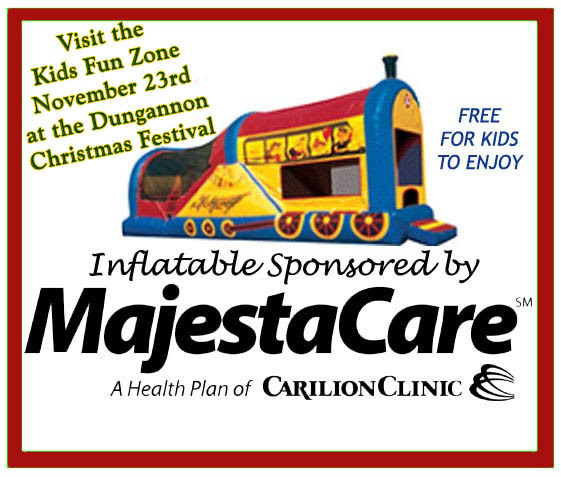 The Event was coordinated by Dungannon Development Commission. 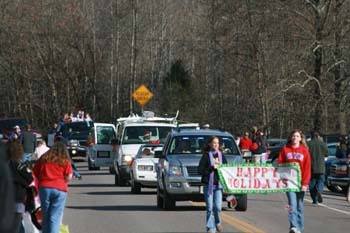 Lucy Mann was the Grand Marshall of the 2007 parade. 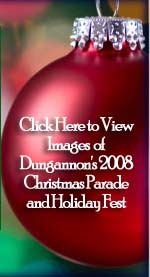 The 2007 grand marshal of the Dungannon Christmas Parade was Lucy Mann. One of 12 children born to Jim and Myrtle Hensley, she has spent her entire life in Dungannon. Mann is the mother of two children, Teresa and Jeff and has one grandson, Jordan. Her hobbies and intrests include gardening, canning, baking and shopping. She is also active in her community and her church. 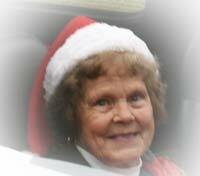 Lucy is a very caring, person with a heart of gold, who loves to do things for her family and friends. 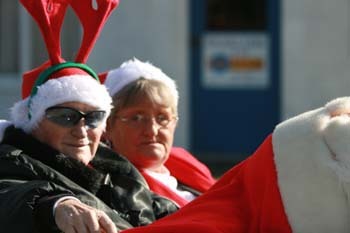 The 2009 Grand Marshall was Edith Sluss. 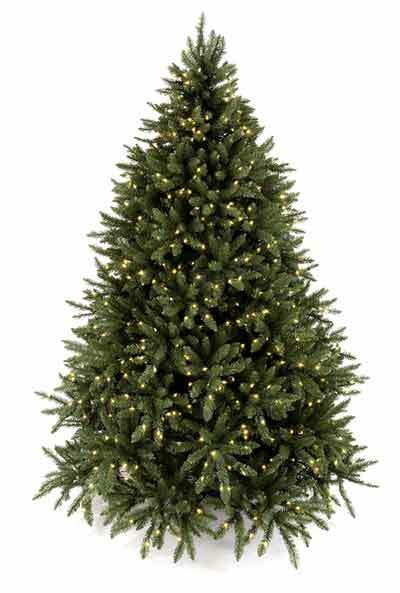 The event was held on November 21st.